2In step 1, where it says 1½-2 cups of coconut milk, I just pour in about 1/3 of the 525ml can. 3In step 2 where it says 2 cups of coconut milk, I just pour in the remaining 2/3rds of the can. 4I basically cook the mixture until the potatoes are tender and not al dente. By then, everything else is cooked. 1No self-respecting curry connoisseur uses minute rice. I use Jasmine rice. 2The Jasmine takes 20-25 minutes to cook in a rice cooker, but if you start it about the time you add the chicken, it should be done by the time the potatoes are tender. Other optional additions: bamboo shoots (the more you put in, the less onions you may wish to add), carrots, cauliflower, fresh mushrooms (sliced), etc. I just kind of play it by ear. Once the chicken is in, I just add a mixture of the above ingredients until the mixture looks like it has a decent amount of stuff. 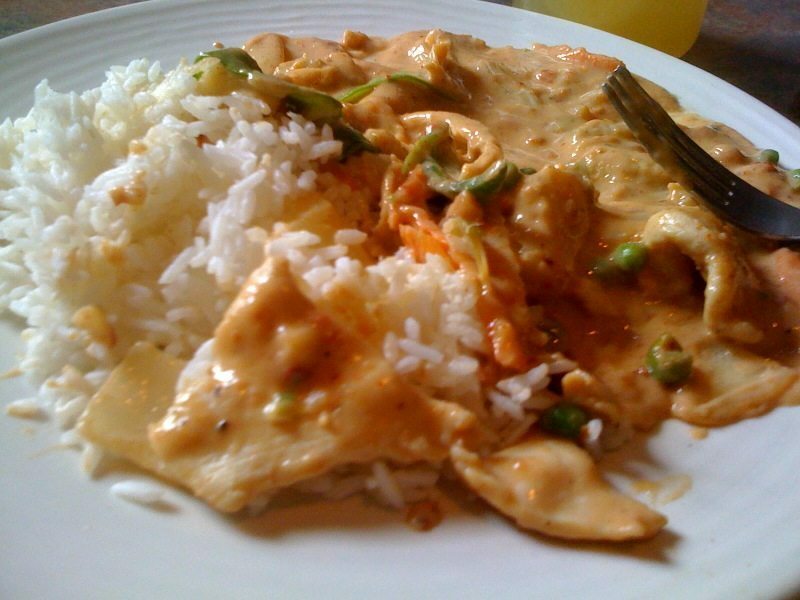 Keep in mind that the curry gets a little thicker as it cooks, so don’t overdo it. 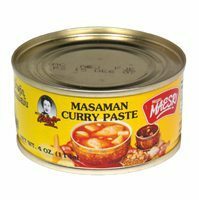 Although I use canned curry paste, I created this article to describe how I prepare it.